The very first social enterprise started by CDS was Secure Shred which was an employment creation initiative that provided two individuals the ability to earn a training allowance and employment skills working one day a week, picking up materials to be shredded from local businesses and shredding it at the CDS office. Today, the business is owned and operated by Brian Gabana a local man who, despite his physical barriers, continues to provide shredding for up to 10 businesses within the community. 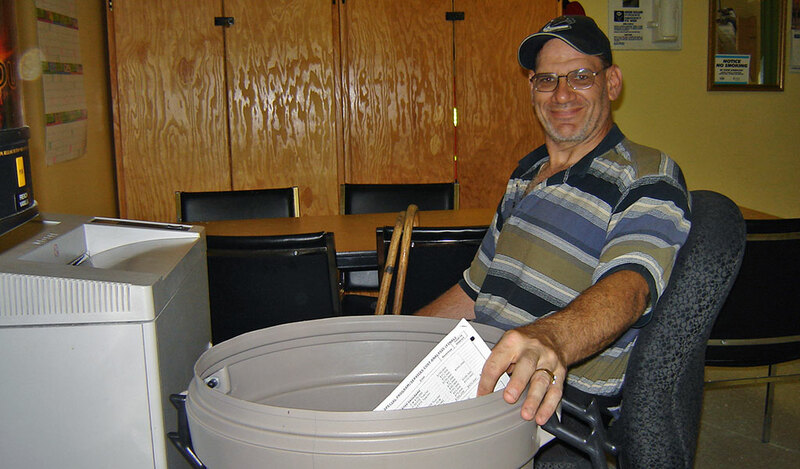 CDS provides Secure Shred with some support as needed, but has supported Brian through the process of building his own self-employment business venture.